I loved just sitting and listening to him at Greenwood Fest! It was really inspiring! 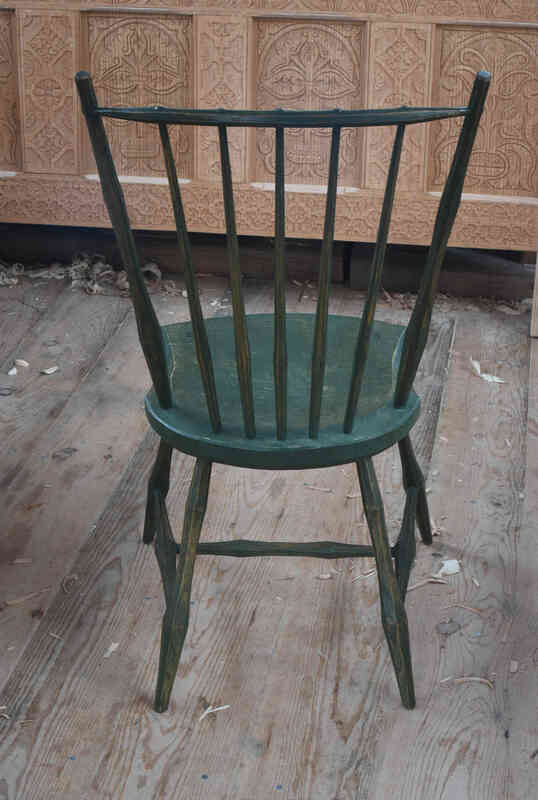 After the long list I have now is this democratic chair. I love the lines in it, and it seems easy enough to build. Fond memory of watch and listening to Curtis build that chair at Greenwood Fest. My plans should be arriving today. 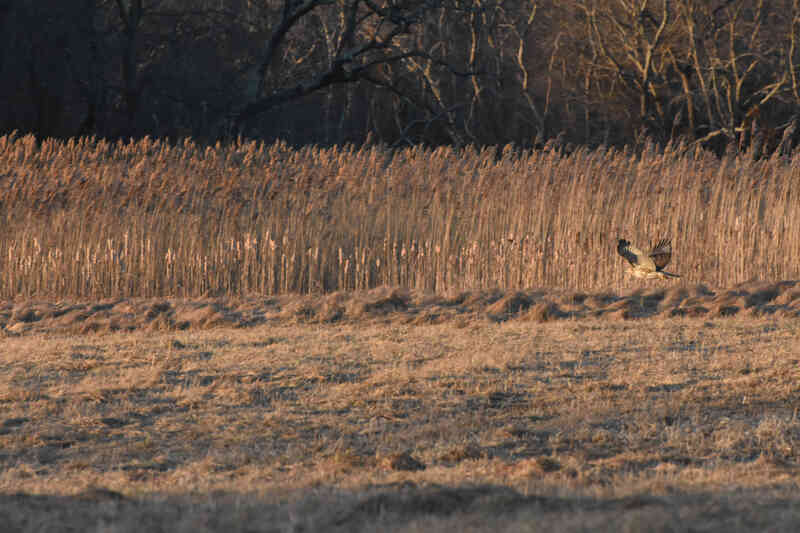 On the lookout for some oak. Time to visit the log yard. I have occasionally hear the term “Democratic” used to describe things made, rather than methods of governance. I am unsure I understand the use of the word in this context of this being a “democratic” chair..? Karl – I first learned of this use of the word democratic in Bill Coperthwaite’s book A Handmade Life. 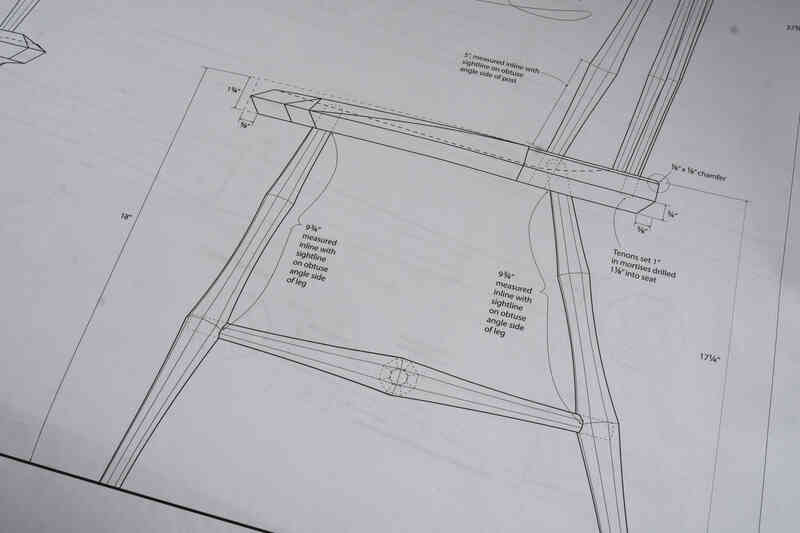 Bill talks of designing and building democratic chairs, axes and more. The basic notion is that Bill wanted designs within reach of everyday people, with ordinary tools. 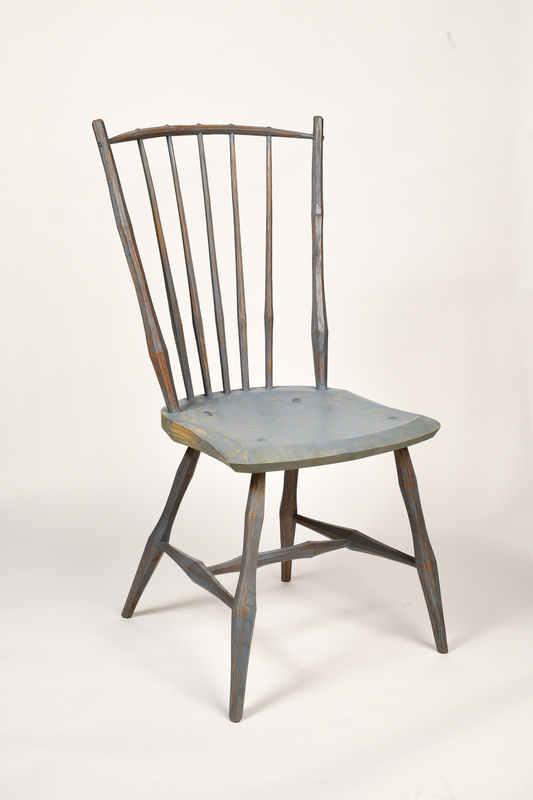 Bill’s democratic chair fits that notion – a saw, screws/screwdrivers and maybe a small drill. Not much else. But it also isn’t much of a chair. 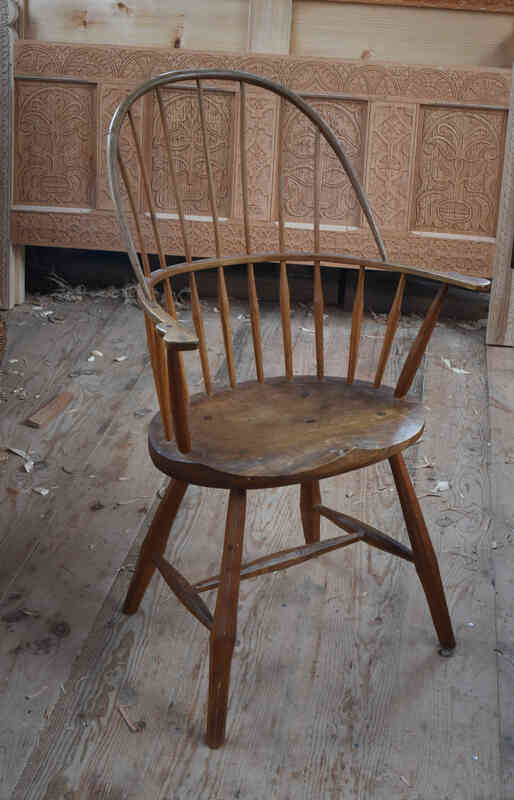 Curtis’ isn’t a democratic chair in that sense; it requires a scorp – a very hard-to-find tool, and I see he’s using a hewing hatchet – ditto. 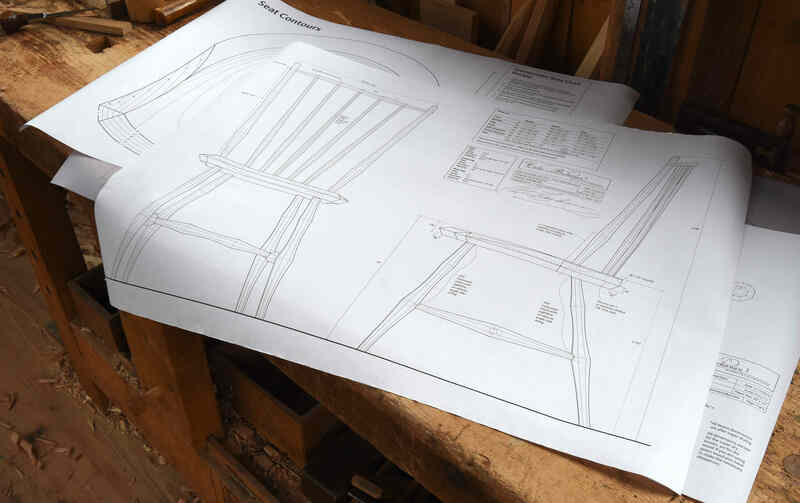 But it’s a hell of a chair, and a great place to study and practice skills applicable to other chairmaking, other furniture making. I have been involved in more than a few things in my life, none as meaningful and generous as this so called field of “green” woodworking. The people involved in the various aspects of this craft seem to be some of the kindest, most generous individuals I have ever had the pleasure of dealing with. Alexander, Dave Fisher, Curtis Buchanan and so many more it would fill this comment post up – let’s just say that crafts people seem to be a bit of a different breed, almost always in a good way. 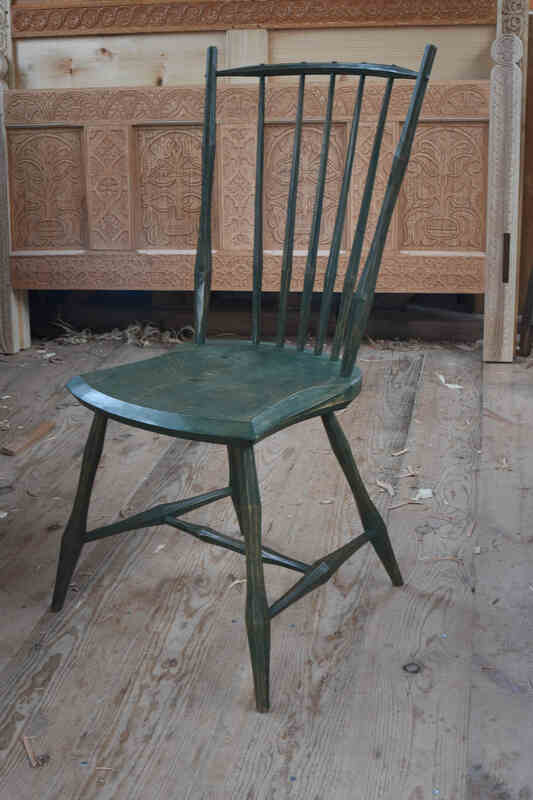 Glad to see that lovely green chair – never will get to a windsor in this lifetime but this one is a real beauty. It reminds me a lot of the stick chairs from the UK and the type of stuff Chris Schwarz has been building up to the last decade or three. Thanks for giving us all a glimpse of that beautiful chair, Curtis is one heck of a guy and a hard worker too!